Originating from Bach's largely halcyon years in Cöthen, the French Suites are evocative vignettes of domestic music-making chez Bach. With their vocal qualities and their open, galant textures, these works seem particularly well suited to the intimate hues of the clavichord. The recording is completed with a suite each by Froberger and Telemann – both of whose music inspired Bach. What is a clavichord? Find out in Julian's introduction for BBC Music Magazine. 'The recorded sound quality is excellent, with clear distinction between the two instruments. The essay by Warwick Cole provides a good overview of the primary sources, with references and links to online reproductions of the most important manuscripts, to which Perkins adds a personal note giving the performer’s perspective. 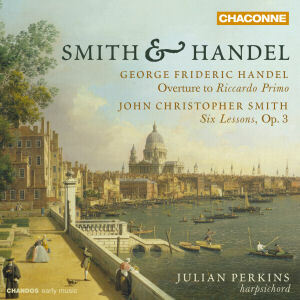 'An outstanding feature of this recording is Julian Perkins' immaculate ornaments, with eloquent variations of shape and speed to suit individual contexts, using both on- and off-beat trills and mordents with differing initial note lengths – for example the lovely gradually accelerating trills in the Sarabande from Suite 6 as opposed to the more even, quicker ones in the Gigue of Suite 4. The clavichord is a rectangular keyboard instrument that initially flourished from around the early 15th century to the Classical era. Its mechanism is disarmingly simple; each key lever has a brass blade (tangent) at its end that presses up against the strings when the key is pressed down. This direct connection with the strings allows the player to control the sustain of the sound. Along with the accordion, the clavichord is unique amongst keyboard instruments in allowing the player a degree of vibrato. Something of a Cinderella of the keyboard world, the clavichord’s dulcet tones have inspired performers ranging from Oscar Peterson to András Schiff. Below, the maker-scholar Peter Bavington provides details about the two clavichords used in Julian Perkins's recording of the French Suites. Both the clavichords used in this recording are free copies of eighteenth-century German originals. The smaller one (heard in the suite by Froberger and French Suites nos 1, 5 and 6) was made in 2008, and is based on a surviving clavichord by Johann Jacob Bodechtel (1768–1831), who worked in Nuremberg. Although this original was clearly not made during Bach’s lifetime, it is very traditional in design, and is typical of the kind of domestic clavichord that could have been found in a German musical family at any time during the eighteenth century. It is diatonically fretted, which means that for part of the compass the tangents of two adjacent notes strike the strings at different distances from the bridge, producing different notes (this works in exactly the same way as the frets on a guitar or lute, hence the term). The twelve notes of each octave can thus be obtained from only seven pairs of strings, each accidental being paired with a neighbouring natural note. This system has the advantage of reducing the load of strings bearing on the bridge, aiding its response; it also reduces the size of the clavichord and simpliﬁes the tuning process. Perhaps for these reasons, diatonically fretted clavichords continued to be made alongside the larger, unfretted type until well into the nineteenth century. The only drawback is that certain combinations of notes cannot be played simultaneously, but this is rarely a problem in these suites. In the 2008 version, the compass was slightly extended to BB–f3. As on the original, the soundboard has two bars on its underside which pass across directly under the bridge; this, and the reﬂective cherry wood used for the case, seem to give the instrument its bright sound and quick response. The larger clavichord (heard in the suite by Telemann and French Suites nos 2, 3 and 4) was made in 2005. It is based on an instrument in the Germanisches Nationalmuseum, Nuremberg, which is unsigned and undated but which is almost certainly the work of Johann Heinrich Silbermann (1727–1799), nephew of the famous organ builder (and friend of J. S. Bach) Gottfried Silbermann. In an unfretted clavichord like this, each string has a separate course; this makes necessary a longer bridge to accommodate the extra strings, and the front-to-back width of the instrument has to be increased to make room for a larger soundboard. The compass is larger, too: FF–f3, which implies a greater end-to-end length to accommodate the longer bass strings, but Johann Heinrich seems to have taken care to make his clavichord as short as possible: it is, in fact, scarcely longer than the Bodechtel. This has consequences for the sound and the way the instrument plays. The bass strings, for example, are quite short for their intended pitch, which makes necessary a large number of over-wound strings (40 in all), contributing a characteristically warm, dark timbre to the bass. The soundboard is deep but not long: it is in fact exactly square, which seems to be an almost ideal shape for the soundbox. Johann Heinrich used a special system of soundboard support, providing only one bar parallel to the bridge, with three strips of wood, no thicker than 1 mm, running across underneath at 45°. This is so successful that it was closely copied in the 2005 version. Very few other changes were made: the case is of walnut, like the original, with a panelled lid, here with three panels rather than the original two. Perhaps the only other signiﬁcant change is the rose in the soundboard, which is a slightly modiﬁed version of the original, made of vellum and wood veneer rather than the original card. For this recording, both clavichords were tuned to a1 =415 Hz. The temperament on the smaller instrument (ﬁxed because of the fretting) was Bendeler III; Werckmeister III was chosen for the larger, unfretted clavichord. These two CDs contain all of Herbert Howells’s published music for clavichord: Lambert’s Clavichord Op. 41 (HH 165) and Howells’ Clavichord (HH 237) Books I and II. This is the first complete recording on clavichord of this music. Lambert's Clavichord and a selection of eight pieces from Howells’ Clavichord were recorded on clavichord by Ruth Dyson (1917-1997) and released on an LP in 1981. This new recording is dedicated to her memory in her centenary year. This disc features the world-première recording of suites by John Christopher Smith – best known as Handel's second amanuensis who helped put Messiah on the map. Smith's own music shows that he was a fine composer in his own right, whose music was greatly inspired by the daredevil virtuosity found in many of Domenico Scarlatti's keyboard sonatas. 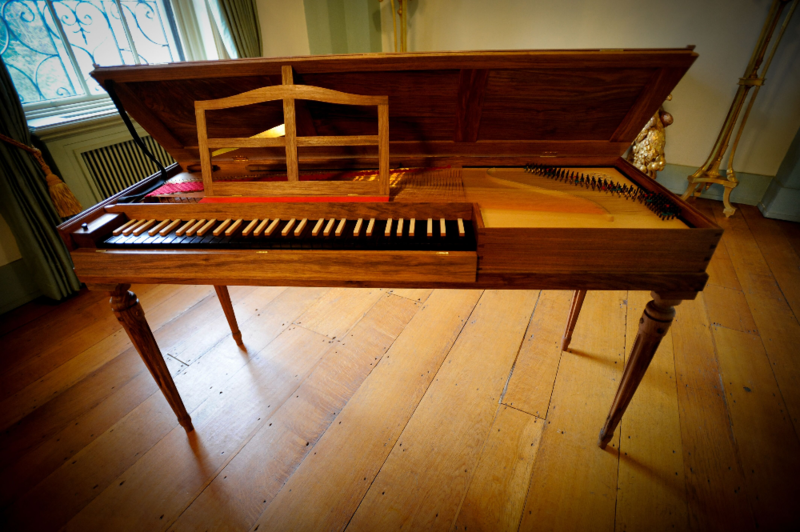 Two harpsichords are used here; a single-manual harpsichord made by Mabyn and William Bailey in London in c1770, and a double-manual harpsichord after eighteenth-century Franco-Flemish models, made by Ferguson Hoey in Oxford in 1982. 'Harpsichordist Julian Perkins has made the first recording of Smith's six suites for the instrument – a fascinating collection of works, none of which conforms to the traditional, dance-based suite structure; instead these pieces are more akin to sonatas. 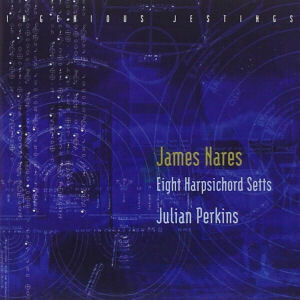 This is the world-première recording of James Nares’s eight harpsichord suites of 1747. It also includes Handel's Suite in D minor, HWV 447. The recording took place at Kew Palace, London, and features two original English instruments; a single-manual harpsichord of 1764 from the workshop of Jacob Kirckman, and a double-manual harpsichord of 1740 from the workshop of Burkat Shudi. The Shudi harpsichord is also known as 'The Royal Harpsichord'. It is accorded a unique honour in having plectra (that pluck the strings) that are made from the feathers of the famed ravens that live at the Tower of London! Two solo clavichord suites. With Jacob Heringman and Elizabeth Kenny, lutes; Roberto Morón Pérez, guitar; Pawel Siwczak, harpsichord. 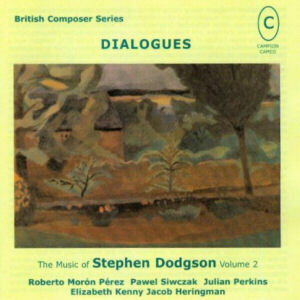 Recorded in collaboration with Stephen Dodgson, this project follows the publication of Dodgson’s clavichord suites for Cadenza Music, for which Julian Perkins was co-editor with the composer. 'Clavichordist Perkins plays a Karin Richter instrument of 1998 after C. G. Hubert (1771), lent by Judith Wardman, which seems ideally suited to this music. Listeners will be struck by its sonorous, warm yet clear tone which enhances the music’s cantabile characteristics whilst bringing vibrancy to an array of rhythmic twists and turns. 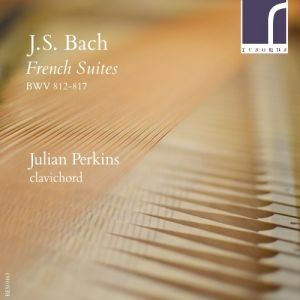 Julian Perkins’s performances of both Suites are characterized by an impressive attention to detail, and he succeeds in squeezing much musical juice from these succulent pieces. Using a wide range of different touches with infinite finger control, he brings a kaleidoscope of sonorities to the listener’s ear.